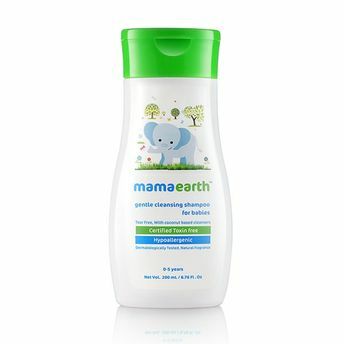 Mamaearth's shampoo is a gentle cleanser that understands shampooing is no easy task. Its soft consistency foams easily to cleanse your baby's hair and scalp. It is made with utmost care to make sure it does not irritate those sensitive eyes is gentle on skin. This shampoo is everything you've been looking for!